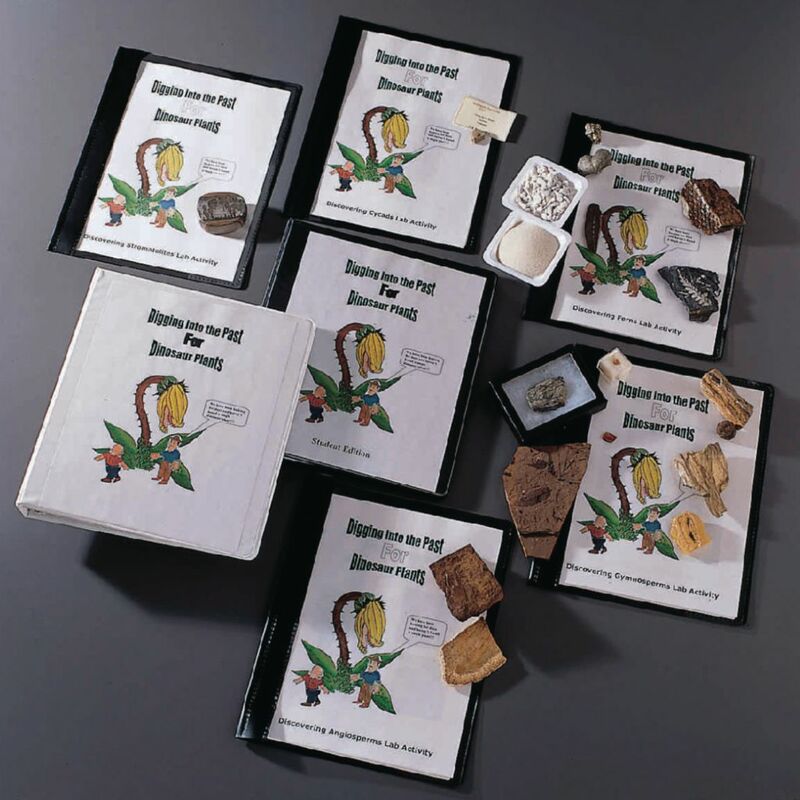 With this innovative series of lab activities, your students can dig into the past to uncover the morphology and evolution of fossil plants. In this series, examine real fossil plants and explore the remarkable history of plant development, from simple blue-green algae to the modern flowering plants. Fossil samples and other demonstration materials are included, along with a teacher’s guide and student worksheets. Designed to meet National Science Education content standards for understanding the scientific method, structure and function in living systems, populations and ecosystems, heredity, diversity, adaptation, and more. The individual activities in this series are designed for one setup. The set of five activities includes:• Discovering Stromatolites examines one of the more unusual forms of cyanobacteria that occurs in the reef-like structures.• Discovering Cycads explores the nature and evolution of cycads, as well as real fossil insect samples from the Mesozoic era.• Discovering Ferns studies the characteristics and structure of actual fossil seed ferns and the process of fossilization.• Discovering Gymnosperms looks at needles, cones, and petrified cypress wood samples, as well as studies the process of petrification and the formation of opal and amber.• Discovering Angiosperms examines leafy and woody structures, explores the evolution of dicots and monocots, identifies leaf margins and outlines, and studies the evolutionary relationships between angiosperms and other plant groups.